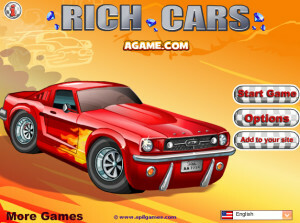 The first of the several Rich Car game introduces the main theme of the game and provides a great environment and objective for the players to play the game. Get the perfect experience of the rich people living in the old days where they drove classy cars, got some of the best drinks and enjoyed the women. 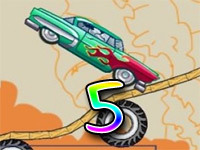 Drive your way through the unique roads and unpredictable oncoming obstacles and props, and perform various stunts and tricks with your cars on the way. 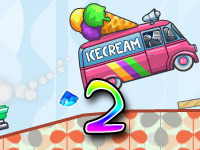 Complete the levels in style and within a certain time to progress through the stories. 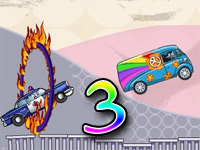 Journey to Florida and Miami as the rich racers are heading for an adventure, they are back to continue their journey while they are being chased by cops for hijacking these vehicles. 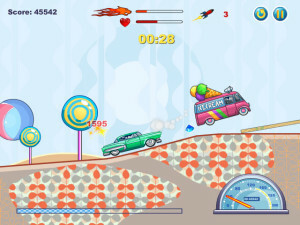 Rich Cars 2 provides a similar but unique experience to the game as you enter the world of the retro and rich people with more props and items on your way. Enjoy the fancy world and blaze through the unusual path and encounter different obstacles along the way while performing extreme stunts. The adventure of the rich criminals gets disrupted as they get caught by the police and lose all their riches which includes their precious vehicles. They must do whatever they can to bring back their vehicles again, this time they are faced with the challenge of driving cars that do not meet the standards of racing. 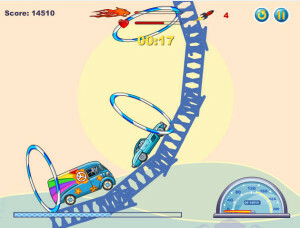 Help them race their way and get past through the obstacles they encounter to acquire their lost riches. 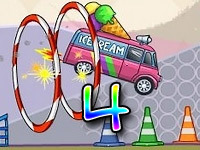 Enjoy the excitement and adventure of the vintage races once more in Rich Cars 4 as they acquire their lost vehicles and riches, head to the different areas of the world and prove yourself to be the best of them all. Take your skills to the next level as you race your way with more unique and classy cars. 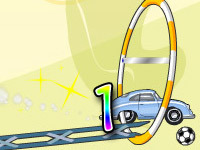 Now you have the chance to gain more riches and vehicles as you prove your skill in front of the other opponents. Play with your full potential as you encounter your opponents and race against them to enjoy the best moment of your life. The world is changing its taste in the styles and is offering more cars. You must help the rich racers get their hands in one of the best cars available in the world to keep up with the change in the world. Face the richest and best racers in the world and compete against them to achieve the best riches available. But before you can get your hands in the more advanced cars you will have to prove yourself to be worthy of the competition as you become well known with your crazy skills. 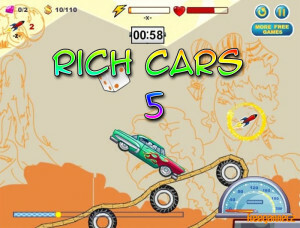 Rich Cars 5 provides you with the option to upgrade and select new vehicles by completing different levels and it also lets you race against other cars as well.